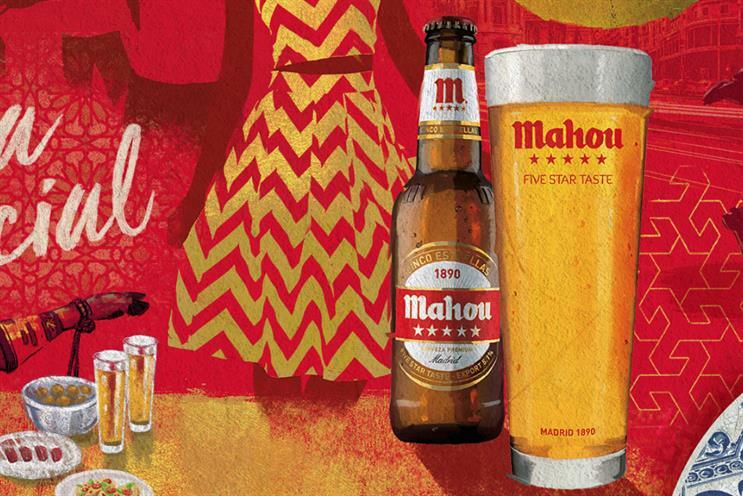 Mahou, the Spanish lager brand, is creating a series of Madrid-themed events over the summer. The first activation takes place on 23 May in Finsbury Square with a two-day event with live acoustic music from Rucio Runao, Spanish DJ Iraina Mancini and tapas. There will also be live bespoke graffiti artworks by Sara Vidigal, who won the Mahou Contest Young Talents in Urban Art. The event will be supported by an out-of-home takeover of Old Street station. The "#TasteOfMadrid" campaign also includes short social videos created by influencer Charles Carter to help consumers with the pronunciation of Mahou ("M-ao"). There will be a further two events that are yet to be announced. Brand experience agency Bigger is working on the activations alongside agency Pablo which designed the creative. Phoebe Small, Mahou brand manager, said: "Mahou embodies a city that is modern and dynamic but still in touch with its roots which is why we’re thrilled to be able to bring the heart of Madrid to London. "We know Londoners are prepared to invest in quality world beers and are delighted to launch a summer of experiential events, original content and eye-catching out of home installations to share the unique energy of such a famous city."